Large Bungee Hook Set: Two closed loop hooks and our bungee cord can store large objects vertically on the wall, freeing up valuable storage space. 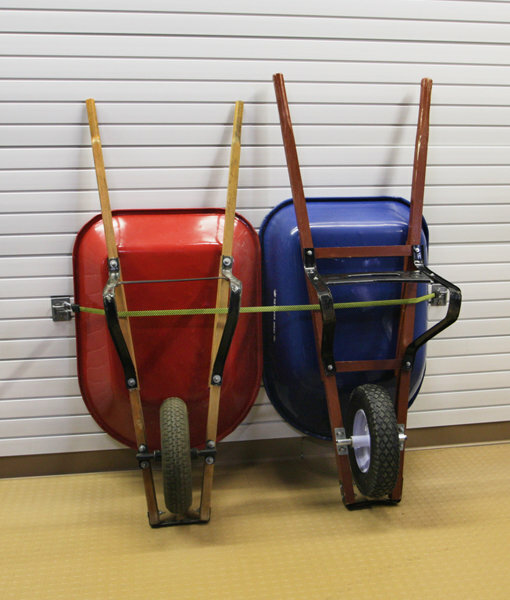 Can be used to store items such as a rowboat, wheelbarrow and more! The Large Bungee measures 33″ without clips and extends to 96″ clip to clip. 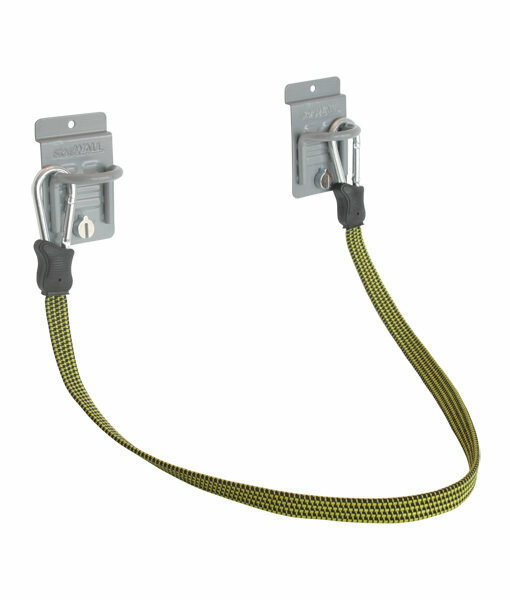 See our bungee cord with carabiner hook options.